If you’re reading this, you lived to see the new year. This is no small matter! Your life makes a difference in the universe, whether or not you embrace your God-given power. May this prayer accompany your initial steps into the future. and our words carry power. May we speak only after we have listened well. May we regard the world with tenderness. May we honor rather than destroy. and looking forward to blessings yet to come. May we welcome your lavish love. May we cast off the small, vindictive god our fears have made. Thank you for the beautiful prayers. Thank you, Vinita. That last line is an epiphany: I shall be reflecting on on it this year. Vinita, I always feel as if your reflections are written just for me! Many others seem to share that same feeling, as evidenced by the lovely replies that have been left for you. Thank you for this prayer. Many blessings in the new year. Thank you Vinita for this beautifully simple prayer. This will keep my heart in the gratitude mode throughout this year. Blessings to you and your family! Thanks dear Vinita for sharing these beautiful words of prayer. I wrote it on the first page of my agenda that I may remember to reflect on the beauty of the Lord, His love and care for me as well as be a blessing to others. What a beautiful, gentle, and encouraging reminder to live faithfully with all we are and who we are. 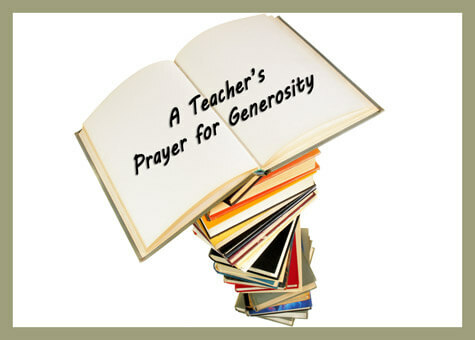 Vinita, I will use this prayer throughout the year. Thank you for sharing your heart and soul with the world. Vinita, you have such a beautiful way of expressing your thoughts. I especially appreciate the line: “May we welcome your lavish love.” God’s love is lavish but I’ve never thought of that adjective previously. Thank you!